Anyone can buy a plane ticket and fly to any destination. It’s what you do in that destination that gives life a purpose. I made it back to Australia all in one piece. Our Malaysian Airline flight did not crash, I did not contract any deadly viruses, neither was I attacked by any stray animals, and my passport and money was not stolen. Who knows what could have happened while overseas? Although, I did end up with some lovely sunburns (thank you Malaria tablets), and chemical burns on my eyelids – NOTE: never put 80% DEET on your forehead or eyes. Not my smartest moment! Following up from my mid-experience post. My time in Borneo was quick and sweet but, it was filled with many experiences, friendship, life lessons, and blew my expectations out the window. I focused on embracing every single day while I was over there and saying yes to everything that was thrown my way. 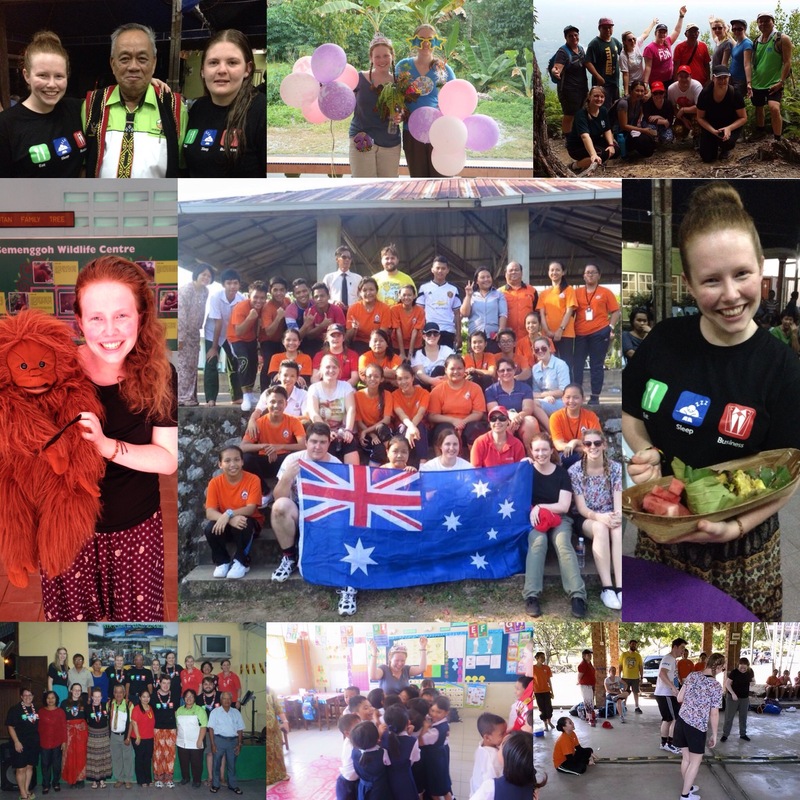 When I came back everyone started asking me, ‘How was Borneo?’. What a good question but, how do you describe such a unique experience within a few words or sentences? My time in Borneo was not as life changing or as radical as I thought it might be in comparison to the reports of prior leaders who traveled to Laos. In saying that, this experience taught me many life lessons. Words like exceptional, amazing, beautiful, incredible, and practically any related adjective just doesn’t do my experience justice. So, while I try and condense the 80+ page journal I wrote, here is what made up my 12 days in Borneo. Arriving in the country there were two things that hit me. First was the heat! Borneo is very close to the equator and subsequently it was stinking hot and very humid – especially when you come from dry 15 degree Brisbane weather. At least at the end of the trip my skin had undergone a 12 day detox – hello smooth skin! The second thing was the landscape and the gorgeous mountains in the background. From the aerial view when were descending into Kuching, we noticed the dense rainforest everywhere. Jessie and I had our heads propped into the small airplane window and pointing out sights while letting out a few ooohs and ahhs! It was just breath taking to see such a city that still preserved the rich green colour of the trees. In the days following it became clear as to why the area looked like it did. They honour the land around them and feed off of the natural resources rather than creating man-made factories to house resources. The food on our last night. 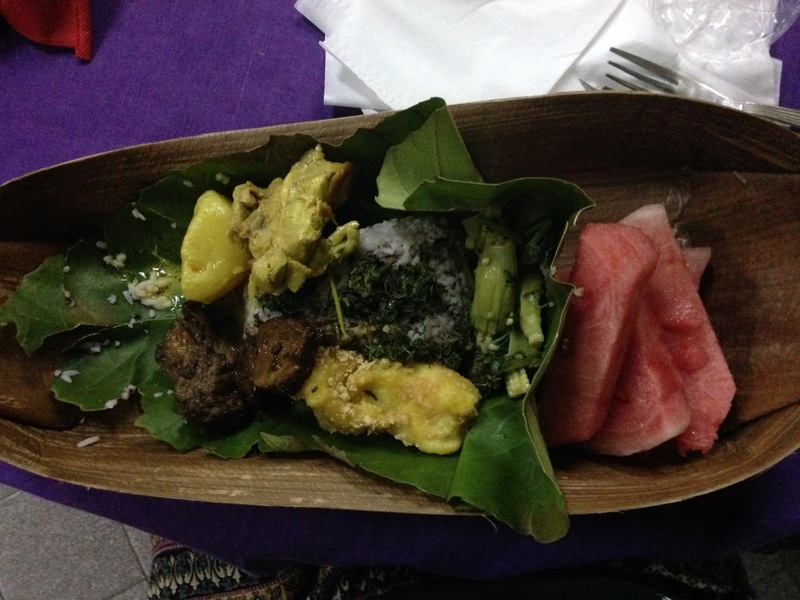 For functions they wrap their rice in a leaves. Now, the best part – FOOD! In the days prior I was told by another Griffith Business Staff member and my local ANZ staff member who both were from Kuching that the food is absolutely and undeniably one of the best things about Borneo. To be honest, they were not wrong. From day 1 until the very last day, the food did not falter in it’s reputation. Everything that was placed in front of us was fresh, and you could taste the difference! Never have I ever tasted such fresh and juicey watermelon, papaya, and orange. While the portion sizes were non-existent, the food never felt unhealthy, it just fueled our body for the day ahead. The variety of food was also incredible. When they prepared mixed vegetables they will always put some sort of meat in it (I accidentally consumed heart in mine!). A typical lunch and dinner would consist of rice, mixed veggies, rice, one or two types of meat, rice, soup, and some fruit afterwards. Our host father would bring home some Malay BBQ chicken and satay chicken prepared by friends in town. He would also go outside and cut down a papaya or coconuts from his yard and proceed to inform us which ones were the mature ones and when you can tell that they are ready to consume, all while opening it up in front of us. I absolutely loved meal time because our host father knew how to plant every type of food and he was so willing to share the information. Meal times became story time and it was rare that we would finish our meals under an hour. That leads me onto the people. I personally think this is the best part about Borneo and especially the Krokong Homestay community. It is impossi ble for me not to smile while writing this as I can mentally picture the special encounters I had with various people. They have this ability to make you feel special and loved by just talking to you. The community of Kampung Peros in Krokong opened their houses for us but, they didn’t stop there. They opened their lives up to us. We got to learn about their children, their occupations, the family’s struggles and triumphs, and their cultural stories. When our host father, Andrew, would speak to his son he would call us his Australian daughters. They were eager to learn about our culture and adapt their lives to ours. We taught Andrew how to use a sandwich press and started having Peanut Butter and Jelly toast for breakfast. I was astonished how everyone in their village knew each other (~440 people), and even in town they would constantly wave and talk to people. I realised early on that they are as connected to the 21st century as we are but yet, they cherish the sense of family, friends, and community and constantly reach out to others – I admire this trait incredibly. The activities that we conducted while over there were endless. Going into the experience I thought we would work on our Marketing Plan for the Krokong Homestay. That was just the tip of the iceberg. For 4 days we worked at the local Catholic church and worked as a team to sand and varnish the church pews. When we were not working on those two projects we were hiking up to the local water source and to Bung Jagoi which has a one lady village on top of the mountain, learning how to cook Pumpkin cake, attending the end of Gawai celebration, shopped (and bartered) at the Serikin markets along the border and in Bau town, ventured through the Fairy and Wind Caves, and celebrated Father’s Day (which they pushed back a week for us). 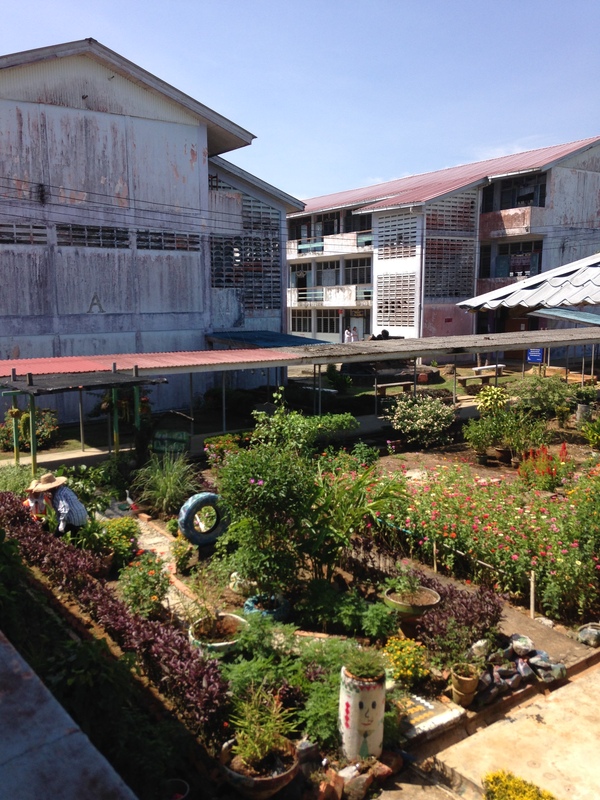 We also headed into Bau where we stayed the day at the high school, SMK Bau. The form 3 & 4 prefects lead us through the school, allowed us to sit in the classes, taught us dances, guided us in planting trees on the oval, and played four different types of games that they play daily. They talked about their plans for University and even one girl had plans to study at the Military University in Canada! Jennie’s farewell speech pulled at the heart strings and reinforced to the students (and us) that we should always chase our dreams no matter what obstacles we will face. A few days later we headed down the street to the local primary school. 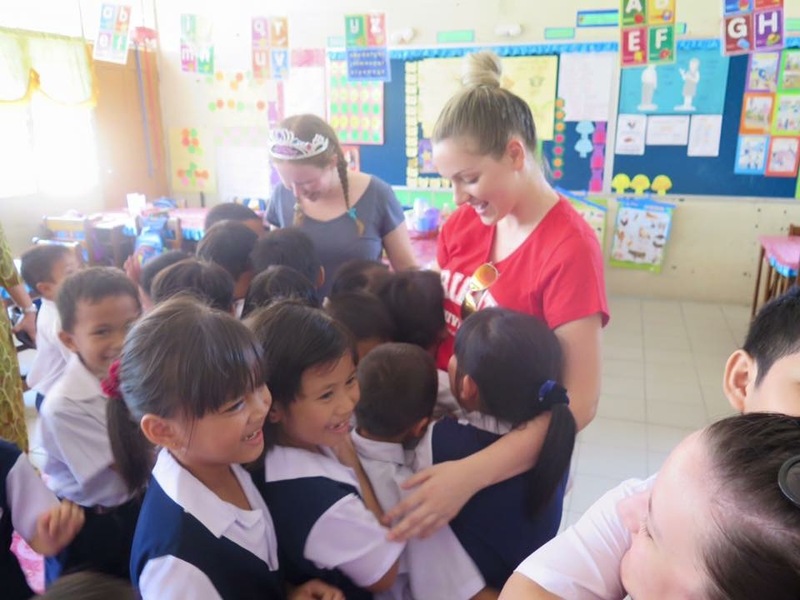 They instantly melted my heart when we stepped into their classroom. 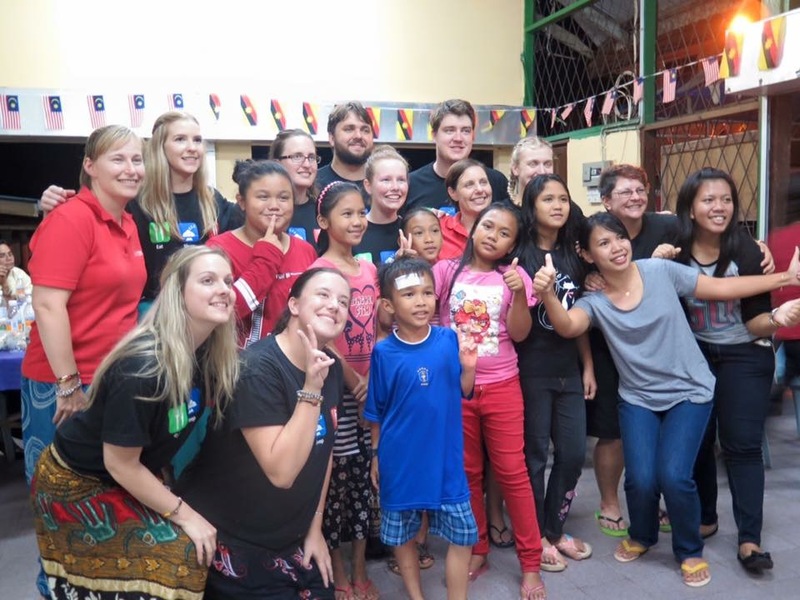 We introduced ourselves in Bidayuh not knowing that they speak Malay – whoops! We then proceeded into singing songs like Heads & shoulders, and Old McDonald had a farm all in English and then they sang two songs in Malay for us. Once we were exhausted for song ideas we went straight into Question and Answer. It was a great chance for the students to practice introducing themselves to us in English which they did incredibly well for such a young age. I was able to chat to the teacher who informed me about her family and the school. I played various hand games with one girl – it made me feel like I was back in grade 3 sitting outside playing with my friends. At the end we were saying our goodbyes and all the sudden the children came around and gave me a group bear hug. The teacher must have said in Malay to give the birthday girl a hug (which was me). Oh I love children and their joyous hearts. My experience in Borneo was, and probably will be, the richest overseas experience I had and will have – I would not take back one second of it. The laughter wiped away the tears and the best days shone brighter than the difficult days. I learned a whole new range of skills when it comes to working in teams and interacting with different cultures. I realised that this experience broke me down mentally but, I was mended back together better and stronger by my experiences and the people around me. The experience also opened my eyes to who I am truly and without the bustle and hustle of the 21st century I was able to gain a clearer perspective of where I want to be once I graduate. In the service of others, I found myself. (Left to Right) Talitha and I with our host father, Andrew. The birthday girls, Sophie and I. Our group shot at the top of Bung Jagoi mountain. A stuffed version of my relatives. Group shot at SMK Bau with all the incredible student leaders who put on a well organised day. Myself with our farewell dinner – IN A BOAT! The last group shot at our Krokong Homestay farewell celebration. A group hug from the Grade 1 primary students on my 21st. Us Griffith students participating in a tradition Bidayuh dance/game at SMK Bau High School.